Turquoise has been used as a gemstone for thousands of years in many different parts of the world. 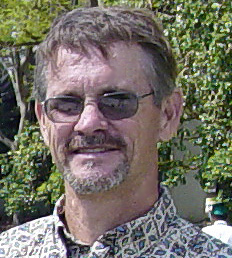 In the United States we usually associate turquoise with the southwestern part of the country. And in fact, most American turquoise comes from Arizona, New Mexico and Nevada. Turquoise is a stone that forms under just the right conditions in desert areas. It is found in other desert regions throughout the world including Africa, China and the Middle East. Traditionally American turquoise has been the most prized and expensive, however most of the U.S. mines are no longer producing and so the jewelry industry has had to look to other areas for a steady supply of quality material. Many people consider turquoise from Iran to be the finest available, but it is prohibitively expensive. Perhaps the best source these days is China. Chinese turquoise has somehow gotten a bad reputation. Maybe because a lot of low grade or imitation turquoise has come out of China in the past or maybe just because China is associated in many peoples minds with inferior products. But the truth is that some of the finest turquoise in the world is now coming out of China, particularly the Hubei region. 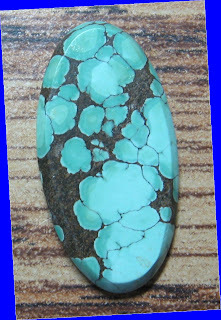 Several mines in that area are producing hard, stable turquoise with exquisite color. Much of the material is beautifully spidered with black or dark brown matrix. But Hubei also offers bright blue turquoise with little or no matrix that rivals that of the famous mines in America like "Sleeping Beauty" or Kingman. And best of all, the prices of the Hubei turquoise are still much more reasonably priced. 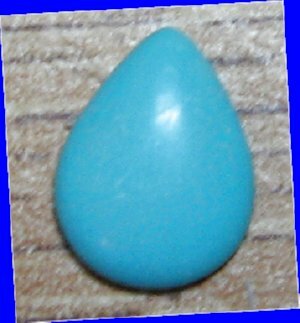 If you love turquoise, you may not have to settle for dyed, treated or imitation products and buying Chinese turquoise doesn't mean that you are settling for second rate gemstones.